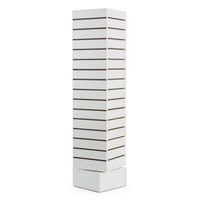 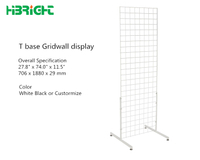 These grid displays are the base models for the four-sided series. 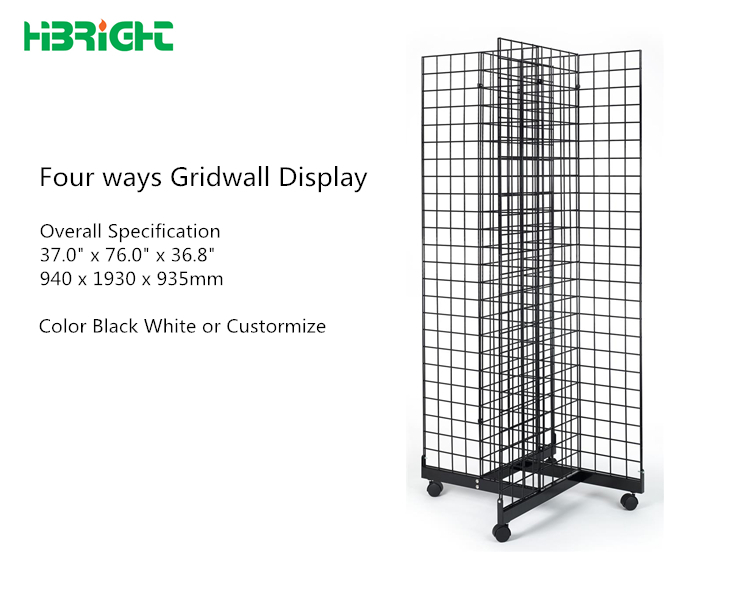 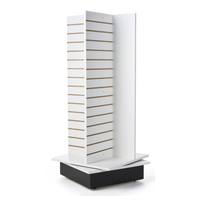 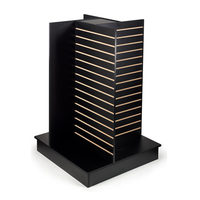 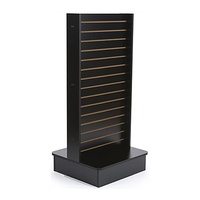 Your purchase includes just the gridwall unit with no extra accessories. 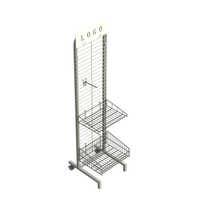 The grid displays feature four walls in a pinwheel design, allowing for lots of merchandising room in a compact footprint. 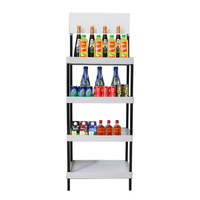 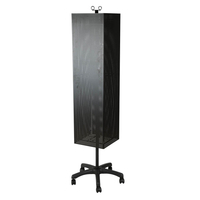 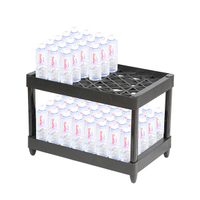 Casters mounted beneath the base provide excellent mobility within your interior store. 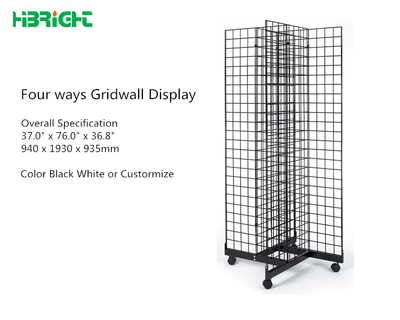 These grid displays are constructed from thick steel wire with a nice black finish. 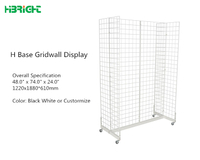 This gridwall ships out same day (assembly is required)! 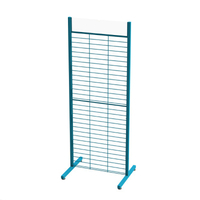 These grid displays are durable and can stand up to lots of wear and tear. 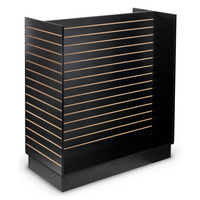 Try saying that about wood slatwall! 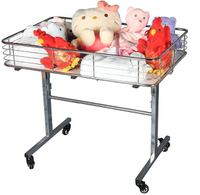 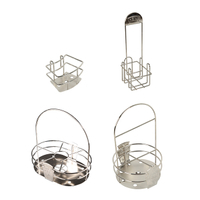 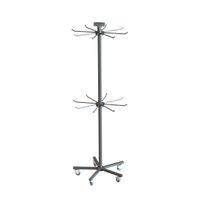 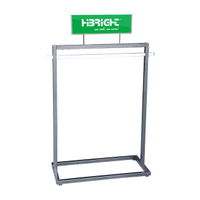 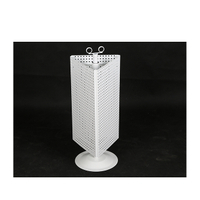 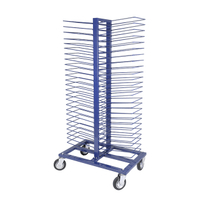 The grid displays, wire racks, accept many different types of accessories, including baskets, hanger rails, and hooks. 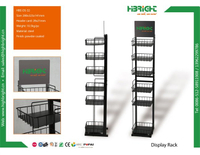 Other configurated packages are available at the right side of the page which come with many of these said accessories. 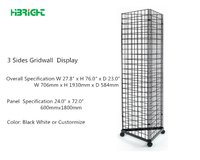 Grid displays are tough and affordable, so it's no wonder they have been very popular among retailers.